Of all the tests that contractors routinely perform on electrical installations, earth loop impedance testing creates the most confusion and uncertainty. Why is the test needed and which test method is it best to use? Simon Wood of Megger answers these and other frequently asked questions. The main reason for earth loop impedance testing – which is often simply called loop testing – is to verify that, if a fault occurs in an electrical installation, sufficient current will flow to operate the fuse or circuit breaker protecting the faulty circuit within a predetermined time. The objective is to make sure that the circuit is disconnected fast enough to prevent overheating and possibly a fire. The regulations require two loop impedances to be recorded. The first is Ze, the external fault loop impedance, which is typically measured at the distribution board or consumer unit where the supply enters the building. 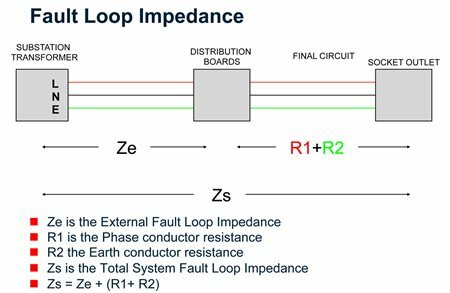 The second is Zs, the total system fault loop impedance, which has to be measured separately for each circuit at the location electrically furthest from the point of supply. 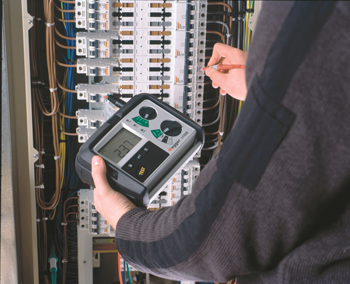 For carrying out loop impedance tests, contractors have two choices – either use a dedicated tester, like those in Megger’s LTW and LT ranges, or use the loop test function of a multifunction installation tester (MFT) such as a Megger MFT1700-series unit. Both options will give equally good results, so the choice is down to the preference of the individual contractor. When it comes to actually carrying out the tests, contractors have more choices to make, as there are five test methods in common use! These are two-wire high-current, two-wire no-trip with dc injection, three-wire no-trip, two-wire no-trip and four-wire grid impedance testing. Let’s look at the benefits, limitations and applications of each method. Traditional two-wire high-current testing with a live-to-earth connection and a test current of 20 A or more gives fast, accurate and repeatable results that are unaffected by external influences. The downside is that it will always trip RCDs and RCBOs, and will occasionally trip low current (6 A) MCBs. This test method is the best to use when measuring Zs for circuits that are not protected by RCDs or RCBOs, and should always be used for measuring Ze and phase to neutral loop impedances. Two-wire no-trip testing with dc injection has been made obsolete by changes in the design of RCDs and RCBOs. Modern versions of these devices cannot be “disabled” by dc injection and will trip during the test. This test method is, therefore, no longer particularly useful. 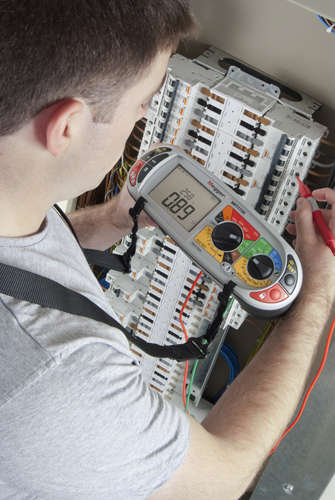 Three-wire no-trip testing requires connections to be made to the live, neutral and earth conductors, and typically uses a test current of 15 mA or less. Its benefits are that there is no need to bypass RCDs and RCBOs during testing, which saves time, and that it does not trip MCBs. There are, however, a few limitations. The results are not as consistent as those obtained with high-current testing, the instrument takes longer to make the measurements, the results can be affected by external factors; also the RCD internal impedance may occasionally affect the result. In addition, even though this is a no-trip test, it sometimes happens that existing and test earth currents add together to trip the RCD or RCBO. These limitations only affect a minority of cases, however, and three-wire non-trip testing is the preferred technique for circuits protected by RCDs and RCBOs where access to the live, neutral and earth conductors is readily available. Two-wire non-trip requires connections to the live and earth conductors only and can, therefore, be used at locations like light switches where no neutral is available. This test method is generally unaffected by RCD internal impedance or by earth leakage currents, but the measurement time is still longer than the high current test and results are still sometimes affected by external influences. Occasional RCD or RCBO tripping may also occur. This is nevertheless a very useful test method and is always the preferred option when no convenient neutral connection is available. Four-wire grid impedance testing requires specialist test equipment and uses test currents up to 1,000 A. 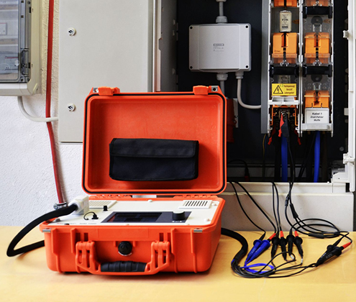 Primarily designed for measuring Ze, it provides accurate and dependable results even in challenging conditions – close to the supply transformer, for example – but, because of the cost and size of the equipment involved, it is used only by specialist contractors who regularly work on large industrial installations and infrastructure projects. Hopefully this article has cleared up at least some of the confusion and uncertainty that’s often associated with loop impedance testing. For more detailed information why not download the booklet Megger has produced by clicking here. Should you wish for a demonstration of any of the products mentioned please click here. Find out more about the loop testers mention in the article.